[S1005] Jan Bodenheimer [jan_bodenheimer@yahoo.com], 26 Feb 2011. JOHN SHEFFIELD, SR. was born Abt. 1725 in VA, and died Feb 1796 in Moore Co., NC. He married HANNAH "JOHANNA" MELTON Abt. 1748 in Upper Moore Co., NC, daughter of ROBERT MELTON and MARY FARRAR. She was born 1734 in Brunswick Co., VA, and died 1840 in Moore Co., NC. i. DAVID6 SHEFFIELD, b. 1747, Moore Co., NC; d. Bef. 1796.
ii. MARK SHEFFIELD, b. 1748, Moore Co., NC; d. Bet. 26 Jun 1806 - 10 Jun 1807, Burke Co., GA; m. ELIZABETH WILLIAMSON. iii. JOHN SHEFFIELD, JR., b. Abt. 1750, Moore Co., NC; d. 1825, Moore Co., NC. iv. ISHAM "ISOM" SHEFFIELD, b. 1756, Moore Co., NC; d. Jan 1827, Wilcox Co., AL; m. SARAH "SALLY" WILLIAMSON. v. MARY ANN SHEFFIELD, b. 17 Dec 1759, Moore Co., NC; d. 11 May 1862, Anson Co., NC. vi. LUCRETIA " LUTECIA" SHEFFIELD, b. 1760, Moore Co., NC; m. JOHN DUNN. vii. REBEKAH "REBECCA" RACHEL SHEFFIELD, b. 1762, Moore Co., NC; m. (1) UNKNOWN (OWBY) OWENSBY; m. (2) ELIJAH AUTRY, Bef. 1774.
viii. HANNAH SHEFFIELD, b. 1763, Moore Co., NC; d. Abt. 1796, Hall Co., GA.
ix. ELIZABETH SHEFFIELD, b. 1764, Moore Co., NC; d. 22 Aug 1826, Wilcox Co., AL. x. LYDIA "LYDDA" SHEFFIELD, b. 1765, Moore Co., NC. xi. 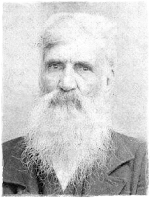 ADAM SHEFFIELD, SR., b. 09 Mar 1765, Moore Co., NC; d. 26 Jun 1844, St. Clair, Benton (Calhoun) Co., AL. xii. AMELIA MILDRED "MILLY" SHEFFIELD, b. 1766, Moore Co., NC; d. Dec 1881, Chesterfield, Edgefield Dist., SC. xiii. SARAH SHEFFIELD, b. Abt. 1768, Moore Co., NC; d. 08 Nov 1850, Posibly Grainger Co., TN. xiv. HENRY EVERETT "AVERETT " SHEFFIELD, b. Abt. 1769, Moore Co., NC; d. 1865, Lumpkin Co., GA.
Bill Sheffield is a fifth great-grandson of John Sheffield Sr. [d. 1796, Moore County, NC], one of the most widely held ancestors in upper Moore County. Bill descends from John Sheffield Sr. through son John Sheffield Jr. [1750/1760-1837] > John Sheffield III [1770/1775- 1845] > Stephen Sheffield > Benjamin Franklin Sheffield > William Wesley Sheffield [Bills' grandfather]. Bill tested 37 markers and the results help confirm a long held belief that the Moore County Sheffields were related to the Sheffields of Duplin County, NC. Bill's Y-DNA is a close match to a number of Sheffield men who descend from the Duplin County family confirming that John Sr. of Moore County and the John Sheffield located in Duplin during the same timeframe shared a common male ancestor.